A sanitation crew was dispatched to remove a blockage reported by homeowners in the neighborhood. The crew was experienced at this type of call and was well-versed with the equipment. They were excited to see how much time a new “quick replace” system would save if they needed to change the nozzle on the hose. This 1-inch hose often gets damaged while traveling down the sewer pipe and while being rewound onto the hose reel. The crew supervisor had installed this new system on a trial basis on the truck. 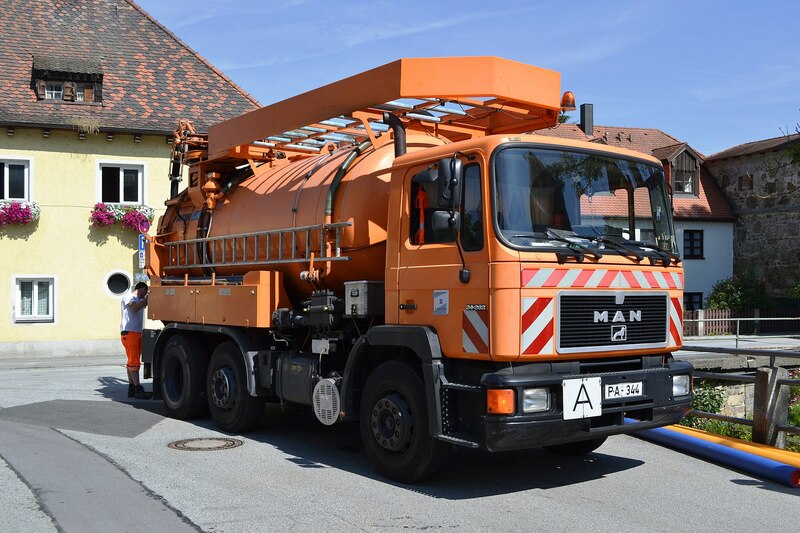 If it worked as planned, all sewer cleaning trucks in the city would be re-outfitted. 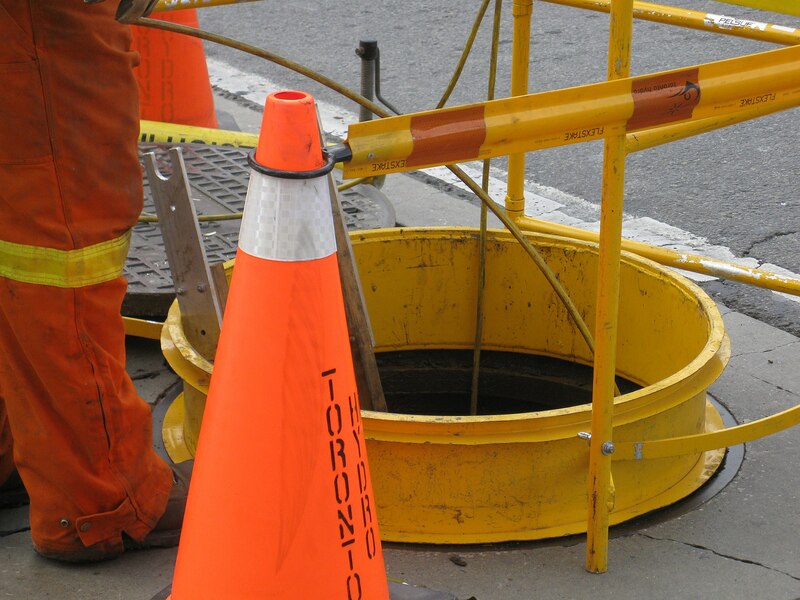 Above: Sewer maintenance being performed. The job was going smoothly. The operator had the pump running at about 50 percent capacity and had just run out the full length of hose. He was preparing to shut off the pump and retrieve the hose when he heard a loud pop. Before he knew what happened, he was on the ground writhing in pain. The “quick replace” components had shattered, allowing the hose to whip. The hose struck the operator in the shin, breaking his leg just above the ankle. During the accident investigation, it was discovered that the “quick replace” components, otherwise known as cam and groove couplings, were rated for only 250 PSI working pressure. The sewer cleaning truck manufacturer stated in their literature that all components connected to this particular system must be rated for at least 2,000 PSI working pressure. With the pump running at more than 1,000 PSI at the time of the accident, these components were grossly over-matched. There’s a saying that a chain is only as strong as its weakest link. A hose assembly is no different. No assembly should ever be used to handle more pressure than that of the lowest rated component. Let’s “Keep It Safe” by knowing the assembly pressure rating. Don’t rely only on the pressure rating on the lay line of the hose. Doing so can lead to disastrous and potentially painful results. Call 877-963-4966 or email sales@dixonvalve.com to speak to a product specialist about your specific application.